The MLI-E 12/1200 Lithium-Ion battery from Mastervolt measures 353 mm x 175 mm x 190 mm and is suitable for mobile applications. System integration is enabled via CANopen and NMEA 2000, for example. The unit comes in a waterproof plastic case and saves up to 70 % in space and weight, recharges in less than an hour, and deep cycles 5000 times, which is up to 10 times longer than lead-acid batteries. 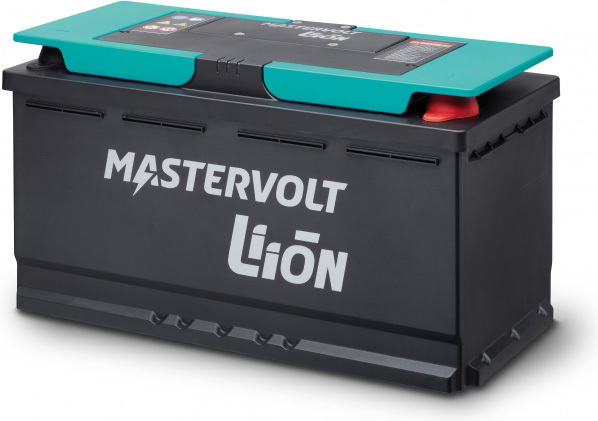 The battery can replace a 180 Ah to 200 Ah lead-acid battery. Also, for the product the safe Lithium-Ion (LiFePO4) chemistry is used. For optimal integration in both mobile and maritime power systems, both NMEA 2000 and CANopen protocols are supported. According to the company, no external safety relay is needed. The battery is protected against overcharging, deep discharging, and overheating and comes with an integrated electronic safety switch. LED indicators inform about the actual status of the battery. The MLI-E is provided with integrated battery monitoring, including information about state of charge and time remaining. The product is ideal for mobile as well as marine, infrastructure, and off-grid to industrial applications.